DiscountPaint.net :: MANUFACTURERS :: ABSOLUTE COATINGS :: ABSOLUTE COATINGS 13001 LAST N LAST ULTRA CLEAR WATERBORNE WOOD FINISH GLOSS SIZE:1 GALLON. 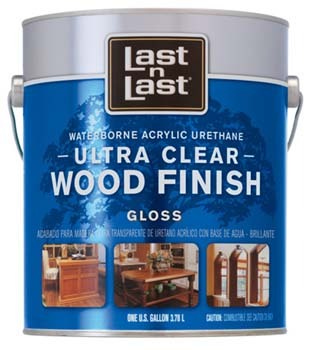 ABSOLUTE COATINGS 13001 LAST N LAST ULTRA CLEAR WATERBORNE WOOD FINISH GLOSS SIZE:1 GALLON. ZINSSER 00900 B-I-N PRIMER SEALER SIZE:5 GALLONS. NORTON 27927 3" X 21" 40X RESIN BELT BULK ( REPLACED 21691 ) PACK:10 PCS. FRANKLIN 05005 #5005 TITEBOND II PREMIUM WOOD GLUE SIZE:QUART. MODERN MASTERS PSMP702-32 ANTIQUE LACE PLATINUM SERIES METALLIC PLASTER SIZE:QUART. ENCORE 201534 BACK TO EARTH ROLLER TRAY SIZE:QUART PACK:48 PCS.